the girls' friends are always excited (even the teenagers!) to spend some time with our wee menagerie. 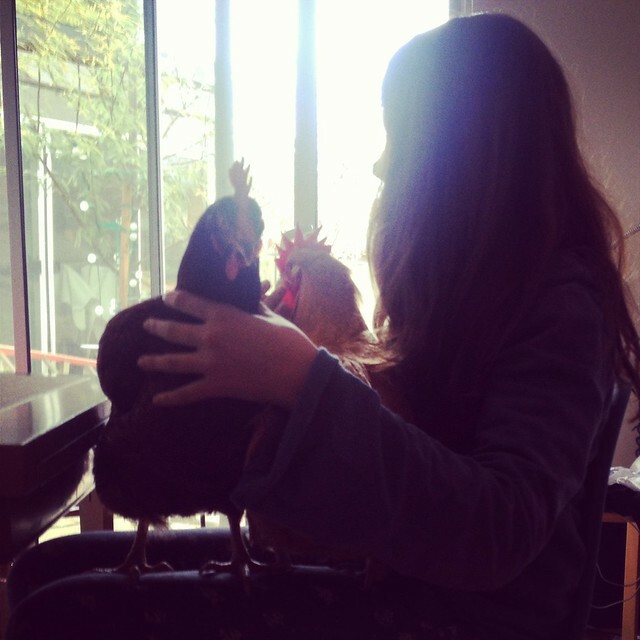 currently, we have two chickens - a rhode island red aptly named "Rhoda" and a buff orpington (from our original flock!) who answers to Chick-a-Dee; two red-eared sliders (Giselle and Juliette); and of course our pup Moxie. i spent this morning cleaning ponds, coops, treating a sour crop and conditioning a turtle shell. we don't take pet-ownership lightly - and this little zoo has had its ups and downs - lost loves and all. i have taken on ailments i never dreamt of (some the stuff of nightmares!) and am proud of the lessons e and k have learned through the journey. i often wonder if i'd do it again. the dog - most definitely. the turtles (who came to us as rescues)- most likely. the chooks (a mix of raised-from-chick and rescues) - harder call. 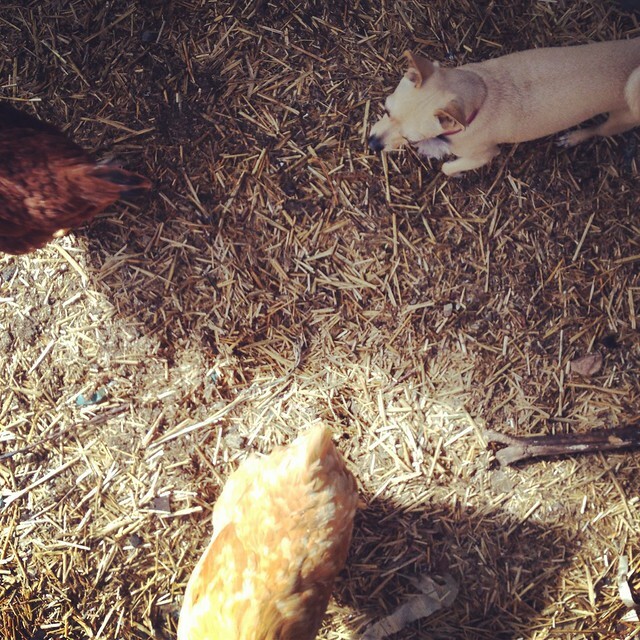 i've written about backyard chicken keeping here and here. and a bit on dog ownership here. i imagine there could well be a horse in our future. i have one very passionate rider on my hands. and i do believe these home-zoo experiences will have prepared us for much. the love and companionship of an animal - big or small (e used to play hide-and-seek with her goldfish! )- as well as the lessons of responsibility and care outweigh any downside in my book. so chooks then - yes. i'd do it again, happily. i'll temper that with when we started was the right time in our lives. i'd do it again with young kids. (i don't think i'd start again now.) but who knows. bolstered by what our "zoo" has taught us all. there may be more ahead.